Last summer I introduced the world's most expensive coffee which comes from the feces of a certain type of Indonesian weasel-cat. 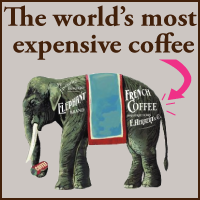 BUT, elephant poop coffee now holds the title as the most expensive coffee on earth. Last summer I introduced the world's most expensive coffee which comes from the feces of a certain type of Indonesian weasel. 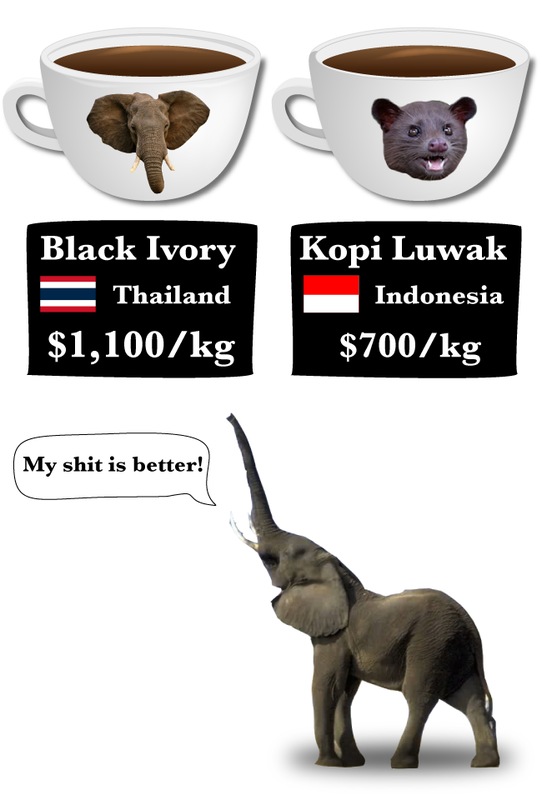 BUT, elephant poop coffee now holds the title as the most expensive coffee on earth. In fact, two cups of it will cost you around $50, according to this article on Time. You know we live in an interesting time when the two most expensive coffees on earth are basically crap.